He didn't get onto the most lucrative interstellar mission for the money—Paxon wants to be reunited with the woman he loves. But his high-stakes journey takes him to a savage world full of the galaxy’s most dangerous game, where the gravity can turn your bones to powder. 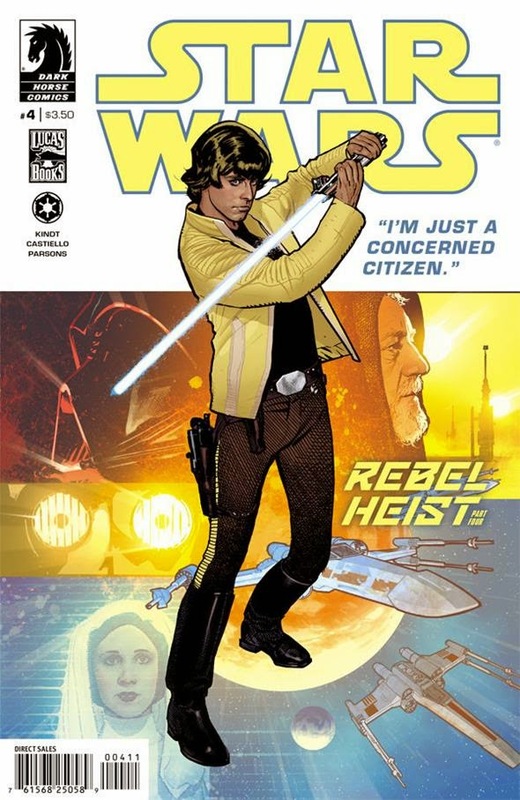 * Written by Gabriel Hardman and Corinna Bechko (Star Wars: Legacy, Planet of the Apes). * From Hellboy creator Mike Mignola! * Die Hard–style action by the artist of Skyman! * Cover by Dustin Nguyen (Batman, Batman: Li’l Gotham)! * An Emily the Strange feature film is in development. 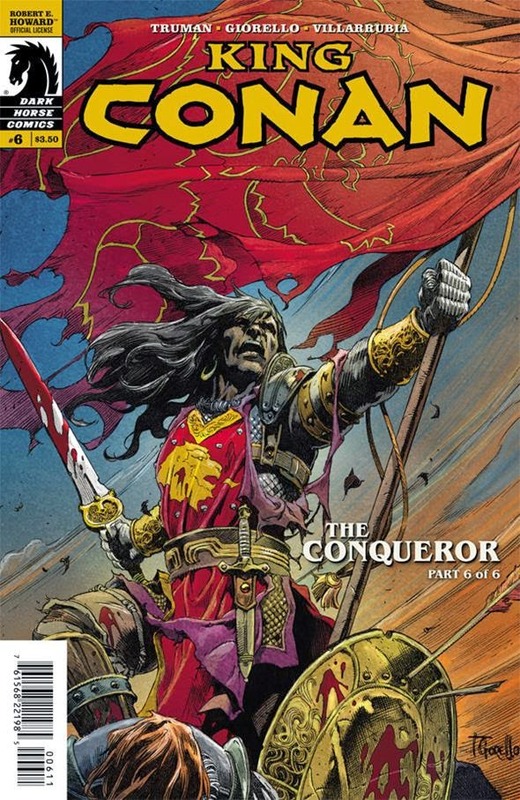 * Conan confronts an ancient evil as he seeks to regain his crown! * The AV Club’s best series of 2013! * This issue is the perfect jumping-on point for new readers! * Retailers, see your order form for a special offer. * Created by Academy Award winner Aron Warner (Shrek). * Written by Philip Gelatt (Petrograd), with art by Eisner-nominated painter Brett Weldele (The Surrogates). * Matt Kindt writes the Leia, Han, and Luke from the classic era of Star Wars! * Covers by Adam Hughes! The truth about Veil leads even more eyes to focus on the strange young woman found wandering out of an empty subway tunnel. Passions run high around her as the body count increases, but is she just an object of desire—or a force to be reckoned with in her own right? * From Eisner Award winner Greg Rucka! Heath Huston, the last Fear Agent, finds himself marooned on the desolate Planet Westx, populated by gun-slinging robots, venomous mutants, and buxom cowgirls. Creators Rick Remender and Tony Moore reunite to bring you the good, the bad, and the ugly in a sci-fi western shot through the heart! Collects issues #22–#27. Presenting the second in a series that will collect, in chronological order, all the Sunday pages of the celebrated newspaper strip! 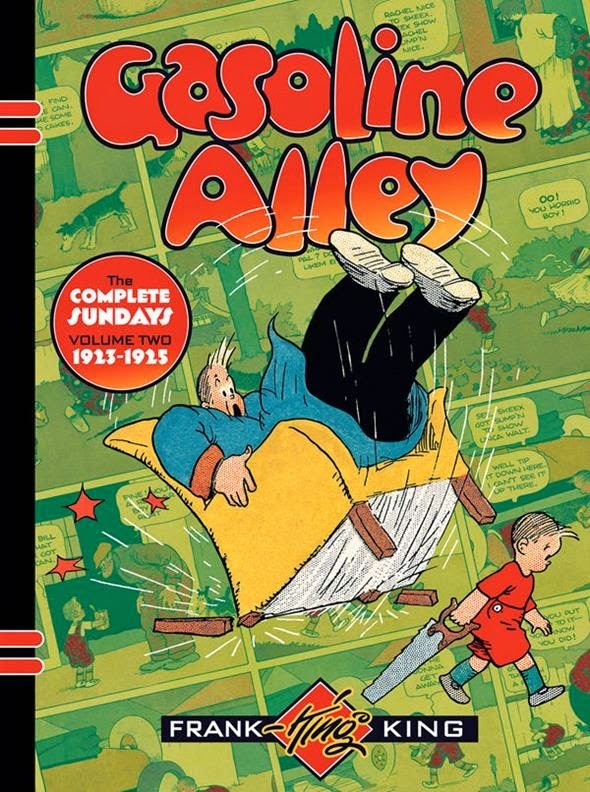 Discover the abundant wonder and dazzling beauty in the world—as seen through the eyes of creator Frank King and his beloved characters, Walt and Skeezix—in some of Gasoline Alley’s most artistically imaginative art! Reprinted in full color, this giant-sized volume collects every Gasoline Alley Sunday strip from 1923 through 1925. * One of the most influential and critically acclaimed newspaper strips of all time! * The second-longest-running comic strip in the US—still published after almost 100 years! Before Two-Fisted Tales burst onto the scene in 1950, war comics were largely unsophisticated, focusing only on action and adventure—wartime propaganda, essentially. But under the editorial direction of Harvey Kurtzman—who also penned the majority of the stories therein—Two-Fisted Tales dared to examine all the horror and madness to be found on the battlefield. Collecting Two-Fisted Tales issues #30–#35 in fully remastered digital color. * Features stories created by comic artists Gene Colan, Johnny Craig, Reed Crandall, Jack Davis, Will Elder, Ric Estrada, George Evans, Joe Kubert, John Severin, and Wally Wood! * Foreword by Joe Kubert!